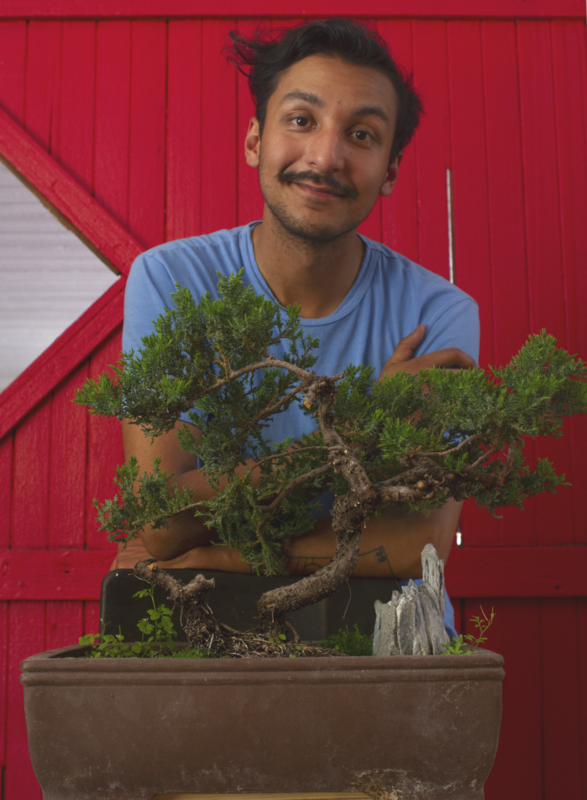 Alex Chavez is a multidisciplinary artist who got a job selling bonsai during a time when he was dealing with depression and identity issues, and grew to care and deeply connect with the trees. During the event, I personally learned a lot from Chavez (and also enjoyed petting his dog and watching it swim lol) about bonsai and how it can help my mind obstacles. When he talked about “letting go” and anger, for me, that was especially useful and relatable. 1. 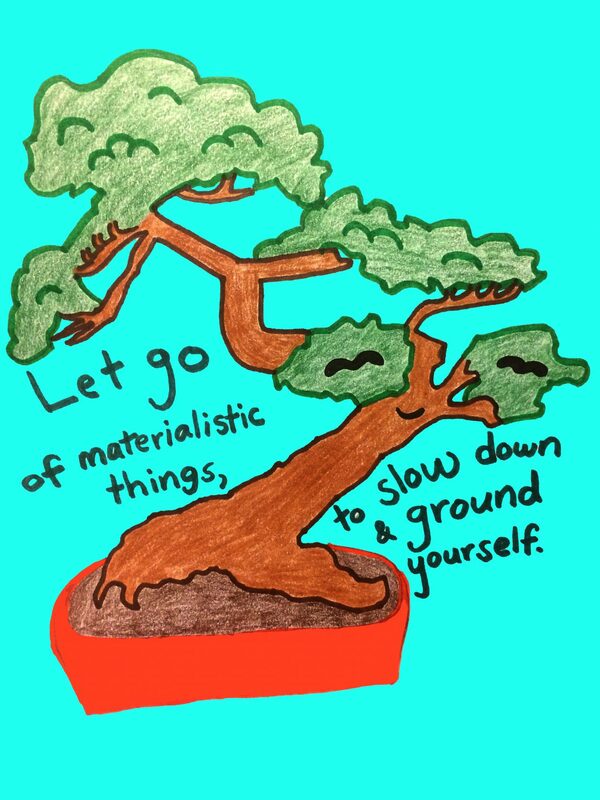 Let go of materialistic things, to slow down and ground yourself. How would you feel being in the middle of nowhere, working a job with no phone, and no one to talk to besides the occasional customer for hours? In the thickets of his depression, Chavez fell into this position with a job selling bonsai. “I’d always been constantly moving. If I wasn’t always moving, I felt like my thoughts would catch up to me, and so I was always forcing myself to be productive,” said Chavez. At first he was frustrated that there was nothing else to do but tend to the trees, however, soon he grew to like it, left social media for awhile, and the bonsai helped him slow down. “It got to the point where I could sit down with the bonsai tree for hours, and time would just pass and I would be so content,” he said. Overachieving and continuously being busy can oftentimes be a sign of avoiding and ignoring internal issues. Bonsai can help feel comfortable being with yourself – which can be scary sometimes – because it gives you something to do and a living being to help, while you are away from everything else in the world. This focus on the trees can become a form of meditation that helps ground yourself in the present moment and notice all feelings that arise – all whilst having a little tree friend to support you xoxox. 2. 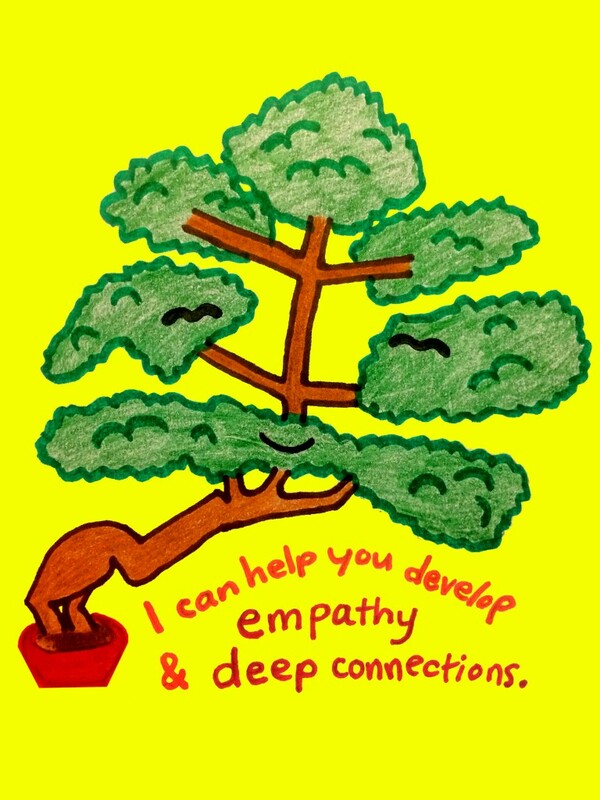 I can help you develop empathy and deep connections. Relating to what someone else is going through and building lasting relationships can be hard, but Chavez found he became better at this through tending to bonsai. “I named one tree once and I had to sell her and it was heartbreaking. It was probably one of the hardest things I’ve ever gone through,” said Chavez. Google’s definition of empathy is “the ability to understand and share the feelings of another.” Chavez’s love for the bonsai grew into a genuine desire to figure out what they needed. His sadness for the loss of Sky was a shared feeling with his bonsai friend that stemmed from their bond with each other. Being able to empathize with another being takes practice, and caring for bonsai can be your empathy practice. 3. 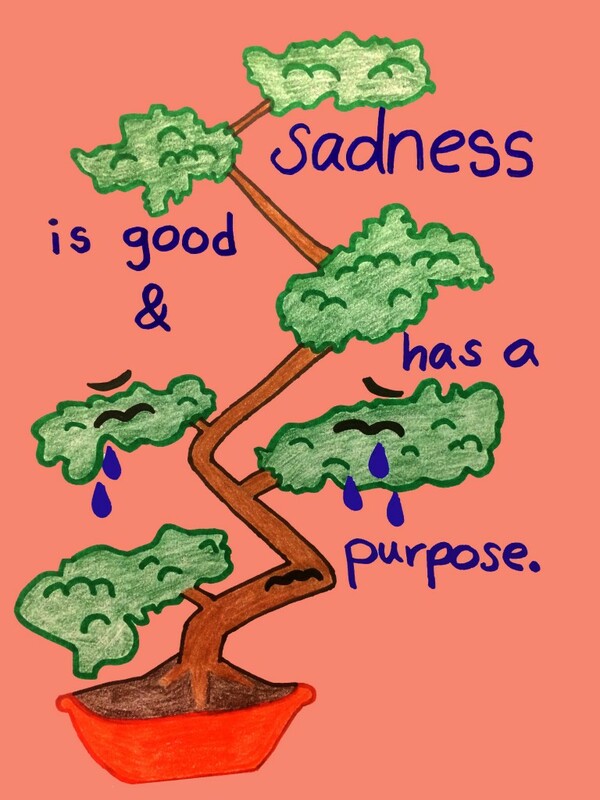 Sadness is good and has a purpose. Sadness can be good??? What!! Just ask the Zen Buddhist monks! Originating in China, bonsai was introduced to Japan in the 6th century and attracted the attention of Zen Buddhist monks who saw an abundance of symbolism in the trees. Buddhists didn’t view sadness as completely negative, but rather as a yin and yang type reminder that since you feel sadness, you must have felt happiness. Sometimes all emotions need is to be acknowledged and then you can move on. Allowing yourself to be sad can give you relief that turns out to be happiness. Your bonsai pal will love to “sadness and chill” with you <3333. 4. 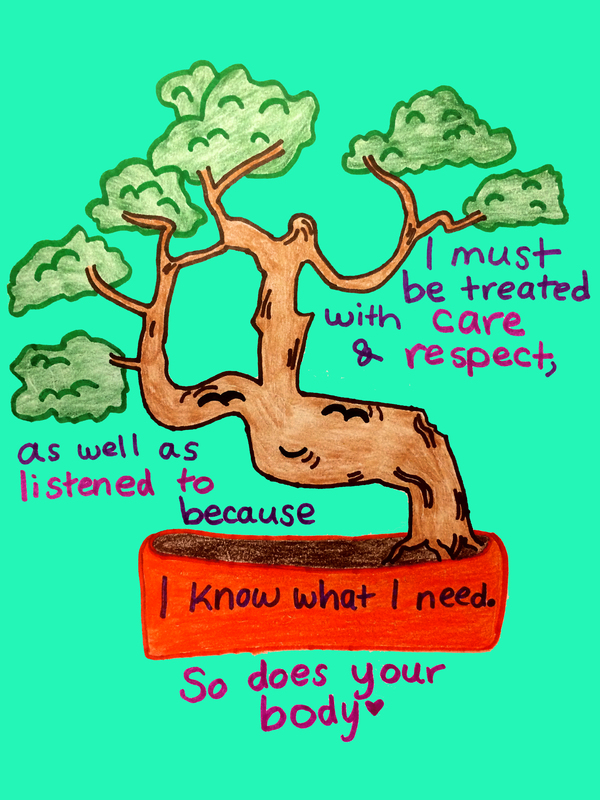 I must be treated with care and respect, as well as listened to because I know what I need. So does your body. Bonsai knew exactly what it needed since it was a tiny seed baby about to sprout it’s first root! According to Chavez, monks viewed the trees as children who need guidance from parents in the direction they want to go “without leaving any physical scars.” In this mindset, it’s important to trim and prune the trees with great care. Same with your body. If your body says it needs even something as simple as water or sleep, you could fight it, but you’d be ignoring your body at that point. This also goes with the concept of listening to others, whether it’s your child, student, or friend. Instead of pushing someone in a direction that they are firmly planted in not going, listen to them and help them bloom where they want to go. 5. Sometimes a person’s anger is not actually meant for you. Tending to me helps see problems from the other person’s perspective. BUT TENDING TO TINY BONSAI LEAVES SOUNDS LIKE IT WILL MAKE ME EVEN MORE ANGRY! Yes, at first it could. The practice to get rid of anger lies in the secret of patience and clear perception that bonsai will gift to you, as long as you keep returning to your friend regularly. 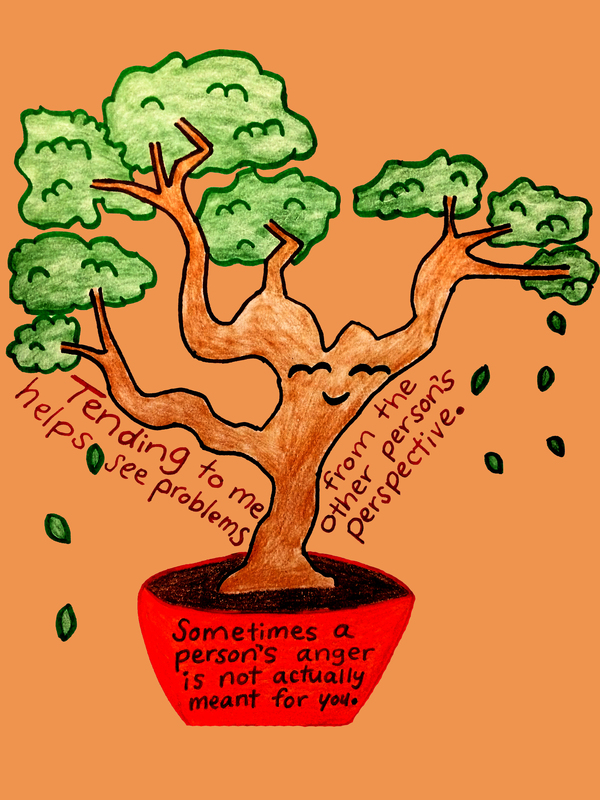 With anger, bonsai helps let go faster and not take things personally because the other person might be going through something. For example, if Chavez was upset at a rude bonsai customer, he’d start watering all the trees and very quickly get over it. Post-Instagram Live, Chavez and I delved into this topic for a while, sharing stories of working with others and receiving or giving anger. We talked about how important it is when someone is taking their anger out on you to stop, and think about why they are angry and their background in general. Is it okay in their household to yell? If I yell back will it put me in danger? Was their anger meant for me or are they stressed and responding with anger so they don’t cry? It’s very easy to take another person’s anger personally, but that might not be the most beneficial route for you. Another way bonsai alleviates anger is by creating a perspective of the world that life is bigger than just you. Compared to the oldest bonsai tree he’s ever seen that is 1,300 years old, we’re just passerby’s on Earth. This idea that the world doesn’t revolve around you can be helpful in letting go of anger because it can assist you in understanding that though this person is angry and is yelling at you, their anger might not actually be about you. There might be more going on in their life. Yet, it is also important to understand limits. Everyone has different limits, and that’s okay. We all have varied backgrounds and past traumas and therefore, each individuals limits with other’s emotions will be different. With that being said, nurturing bonsai provides vision of problems and anger from the other person’s perspective, so that you can use anger as a tool to your advantage by expressing it in a way that will favorable to you in that specific situation. Chavez hopes to create a business called “Bonsai for the People” to make bonsai and it’s healing powers accessible. To create your own bonsai, prices can start at $15 for a tree, or you can start your own with any pot and any small sapling. Words and drawn images by Shannen Roberts.